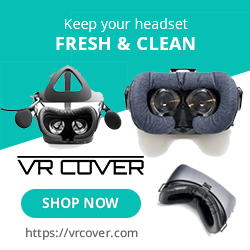 Virtual reality can be used for all manor of applications beyond gaming and one that has been brought up time and again is a cure for phobias. VR allows us to challenge our fears or at the very least get a decent thrill out extreme representations of real-world situations. Fear of Bugs is a little more on the extreme side as it places you in some insane situations with the most lovable of insects, the cockroach. The DS4 is needed to play this, though it’s really only needed to skip cut scenes and restart the game once you have played through 3 scenarios, assuming you make it through them all. 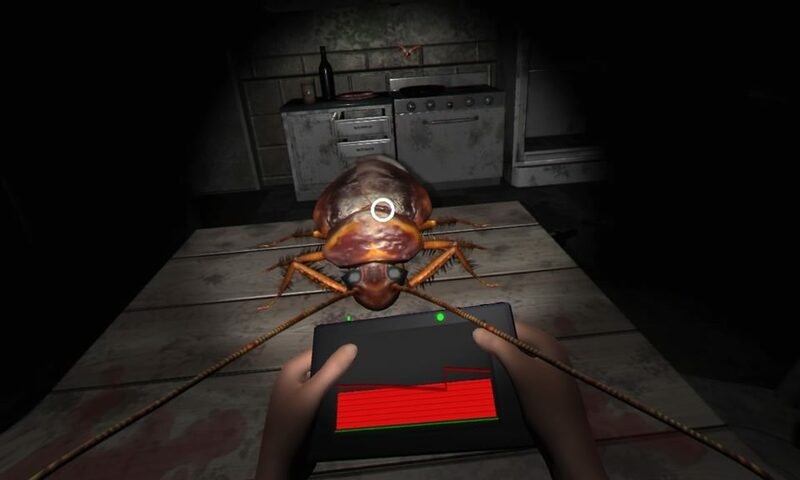 The premise of the game is that you are in some kind of experiment that involves curing your fear of bugs. Sitting at a table, you hold a tablet in your hands, mapped to the DS4, and your job is to not panic while trying to trigger as many bug events as possible around you. Panicking is represented by head movement so the more you move your head, the higher your reading goes on the tablet. If you max it out, you fail and must restart from scratch. Make it through all 3 scenarios and you are rated based upon your performance and given a little message at the end explaining the results. There are more then 3 separate scenarios in the game so multiple playthroughs may yield different “scares” though these repeat often, nonetheless. I named this guy Doug. The entirety of this experience takes place in a small kitchen with you sitting at a small table. Pots, pans and cupboards are all around you and looking at them long enough will move or open that object, typically causing a few bugs to scurry around you. Each scenario ends with a big scare of sorts that features an exaggerated event involving cockroaches. This could be an endless swarm scurrying all around you, a monstrous cockroach that gets way to close or even a screaming man covered in the pests getting right in your face. Everything in here looks alright and does the job needed with bugs flying right in your face and details in the room making it feel relatively authentic though don’t expect to be blown away as close scrutiny of the bugs reveals a lack of detail that ruins the immersion. There isn’t too much in the way of audio other then effects to match the actions and for the most part they work. Fear of Bugs fails on a few accounts, the first being the lack of variety in the scenarios. Unless you have an extraordinary fear of bugs there really isn’t anything here except for bugs flying in your face. The goal is to stay perfectly still and minimize movement, which is counter to triggering those mini-events in each stage. There is only one stage and the large events ending each test are chosen at random with them repeating even on the 2nd playthrough and I believed I experienced all the scares by my 4th time through the game. Each run through only takes a few minutes which makes this a very shallow and repetitious experience. This bug covered guy is hilarious. If you aren’t scared of bugs, then there is almost no reason to play through this. The scoring system seems finicky and irrelevant and the repetitious nature of the scares makes even a 2nd playthrough start to feel redundant. 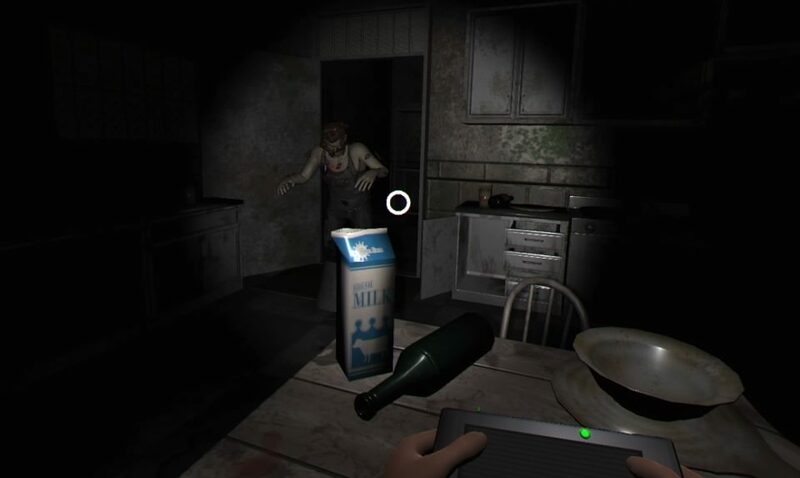 You will see a few more scares the longer you play but they don’t come close to balancing out the monotony of the entire experience. 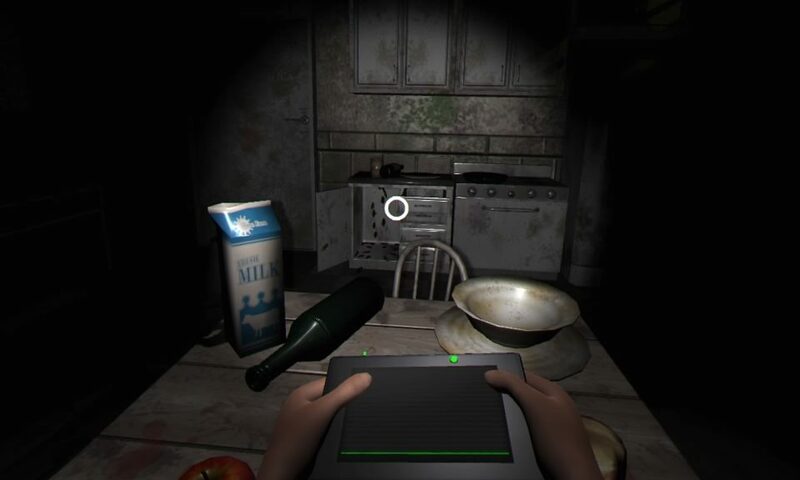 By my count you could see every scare within around 15 minutes of game time and that includes seeing the same scares over and over just in the hope of seeing something different, which isn’t scary anyways. What would I pay? The asking price of $15 on this is nuts. This is at best like a $1 or $2 experience as I doubt many will play past the 10-minute mark. I laughed a few times while I played this and even enjoyed some of the scare attempts, but there is so little value here that the full price may be one of the biggest insults thrown our way, and I’m including Rage Room when I say that.